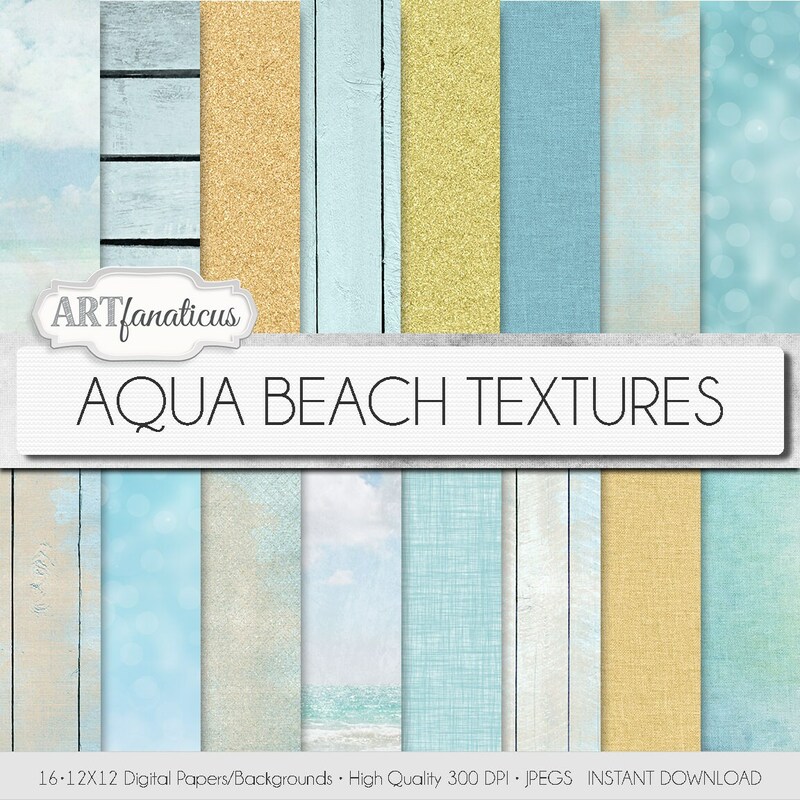 16 digital papers "AQUA BEACH TEXTURES" sandy beach, sand texture, beach wood, sky, aqua sea, aqua bokeh, burlap, linen, weave, and more. All papers inspired by my travels to the beach and the views of different hues of aqua. Most of these are made from actual photographs I have taken at the beach. All papers are high resolution at 300 dpi which makes them perfecting for any of your printing projects. 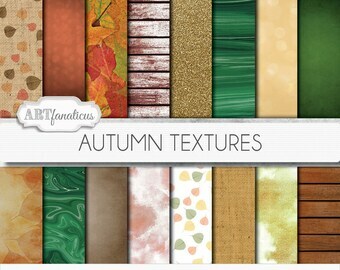 My backgrounds, textures, digital paper and clip art can be used for just about any project. Add some additional artistic style to your photo albums, books, photography project, photographs, scrap booking, weddings, invitations, greeting cards, wrapping paper, labels, stickers, tags, stationary, signs, business cards, websites, blogs, parties, events, jewelry, home décor, fabric clothing and much more! Zip files with your digital files will be sent to your Etsy registered email once payment has cleared. For personal and commercial use; flattened file only. Some terms may apply. O-M-G!!! These background papers are BEAUTIFUL!! Thank you so much!! I am using them as backgrounds for my powerpoint presentation that I'll be giving at work, and WOW what a difference having backgrounds makes to really take my presentation to the next level! No more plain white slides for me! I also went and liked your Facebook page. What Is A Digital, Instant Download Product? A digital product is anything that is delivered to you electronically rather than physically (shipped). Do I Need A Commercial Use License Use Your Item in My Product? We only allow "Personal Use Only", with the exception of some bundled products. Please note that Commercial use is anything created for or intended for profit regardless of the size of your business. Contact us for more info if you still have questions. If you have a special request for an app or other commercial use feel free to contact us with all your details and we will consider your request. What Are The Terms For Personal Use? Artfanaticus purchased artwork/item may be used in an unlimited number of “Personal Use Projects”. •Your final product can be digital or physical item NOT made for profit or used for a non-profit. •You are prohibited to distribute the original “As Is” Artfanaticus artwork. •Files must be flattened in your final product. •Please do not claim the purchased artwork as your own. I Am Only Making Something For My Wedding, Do I Need A License? Personal creations do not require a license. You may use AF artwork in your personal item with minimal modifications. • Resell, sell, share, giveaway “AS IS” in its original purchased form. • Remix Artfanaticus (AF) artwork into your digital or physical product where AF artwork is the main focus. • Distribute the original “As Is” Artfanaticus artwork/item to any third parties that allows the use of the original. Files must be flattened in your final product/project. • Your final product(s) cannot be sold or used in a way that is directly competitive with the original Artfanaticus artwork/item you purchased. • Claim any purchased Artfanaticus artwork/item as your own. Can I share my item or purchase on my social media channels? We do LOVE and APPRECIATE any shout out to Artfanaticus! htttp://www.artfanaticus.com via any social media channel. If you have a opportunity or want to blog about about us or a product contact us with the specifics if you need more info.